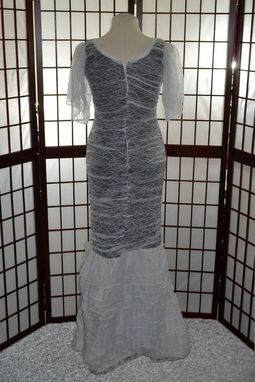 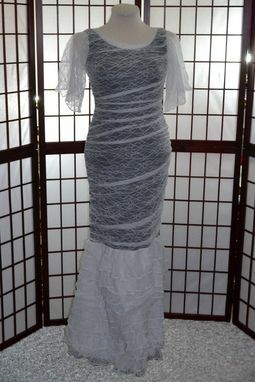 Floor length gown made from stretch lace with a cotton under layer. 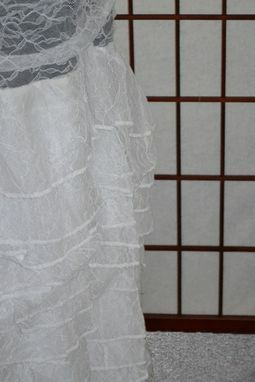 Lace has been saunched up throughout the dress. 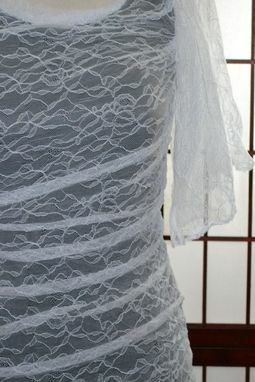 The the bottom has a flared out mermaid style with multiple layers of lace.